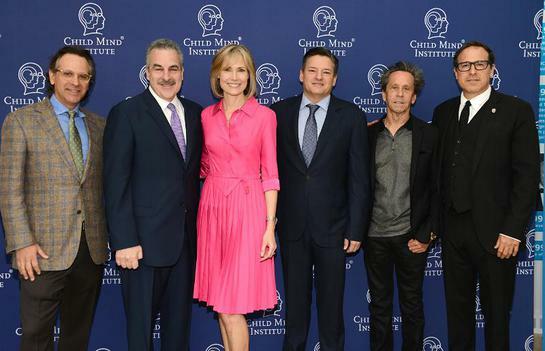 On May 8th, the Child Mind Institute and Academy Award-winning producer Brian Grazer hosted a special Speak Up for Kids panel discussion at the Paley Center for Media in Los Angeles, Taking a Leading Role: How Film and TV Can Change Kids’ Lives. Participants included Mr. Grazer, Child Mind Institute president Dr. Harold S. Koplewicz, Emmy Award-winning writer, producer, and playwright Jason Katims, Academy Award-nominated writer and director David O. Russell, and Chief Content Officer of Netflix Ted Sarandos. The panel was moderated by journalist Willow Bay. The lively discussion provided a behind-the-scenes look at the challenges and rewards of accurately depicting mental health in the arts. Throughout the discussion the panelists offered personal anecdotes — both as parents and as creators — about the impact of their stories on the public, and themselves. The audience of producers, directors, educators, parents and physicians was challenged to help combat the stigma of children’s mental illness. One in five children have a psychiatric or learning disorder. Yet, our big and small screens rarely tell us these stories. And when they do they paint a picture of mental illness that is either terrifying or laughable. The panel addressed the key role movies and television play in defining mental illness for audiences, and what can be done to communicate authentic, nuanced child mental health storylines. The event is part of the Child Mind Institute’s Speak Up for Kids campaign, which this year convenes 100 partners to battle the stigma and misinformation that can prevent kids and families from seeking life-changing treatment. 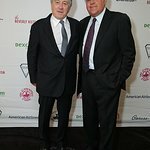 Panel discussions throughout May in New York, Washington, DC, Los Angeles, and Chicago include thought-leaders in mental health, media and entertainment, as well as parents and children, all of whom will share their perspectives and seek to advance the dialogue concerning children’s mental health. Parents, friends, educators, kids, and advocates add their voices by sharing who or what they Speak Up for when it comes to children’s mental health by taking an ISpeakUp Selfie and sharing it on social media. The #ISpeakUp selfies appearing on Facebook, Twitter and Instagram convey powerful messages of hope, health and healing. Speak Up for Kids Los Angeles is made possible by the generous support of national founding partner Hunter, and RED Interactive Agency. For more information on David O. Russell and his work in mental health issues awareness, visit www.davidorussell.com. To see the complete list of Speak Up for Kids events and partners, and to view the #ISpeakUp Gallery, please visit www.childmind.org/speakup.